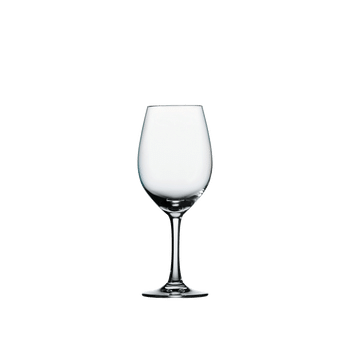 This set contains 4 pieces SPIEGELAU Festival White Wine glasses. The elliptical shaped machine-made white wine glass of the extremely breakage resistant glass collection Festival defined by a harmonious coexistence of the elliptical shape. Its generous bowl is shaped especially for white wines. Made of crystal this glass is durable and functional. Festival is a very popular catering series which is very durable, extremely breakage resistant and dishwasher safe. All SPIEGELAU glasses are dishwasher safe.